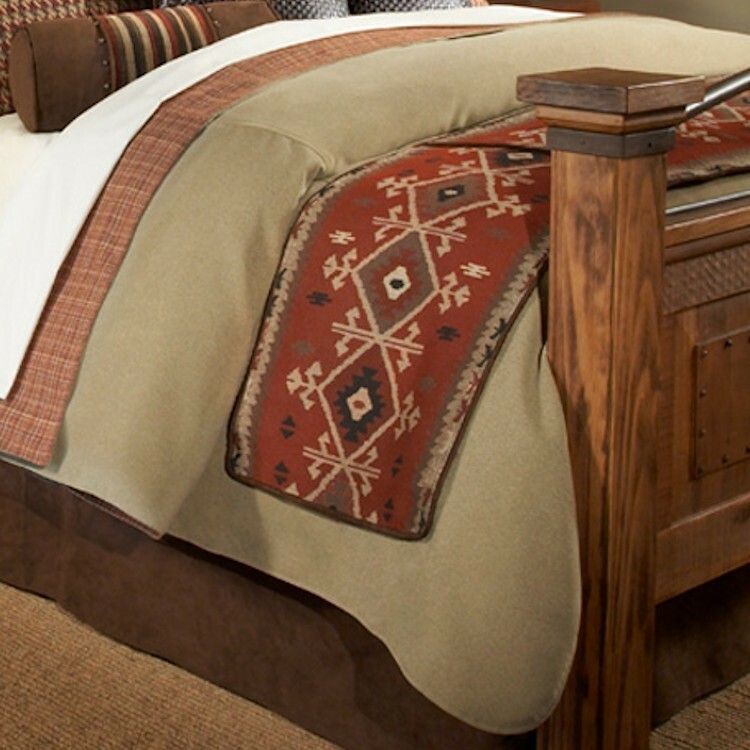 Traditional geometries inspired by ancient Native American symbols matched with tight mahogany plaids and a houndstooth inspired weave are the elements found in the Oro Valley Coverlet Sets. Predominate colors include Chocolate Brown, Mahogany and Rust. 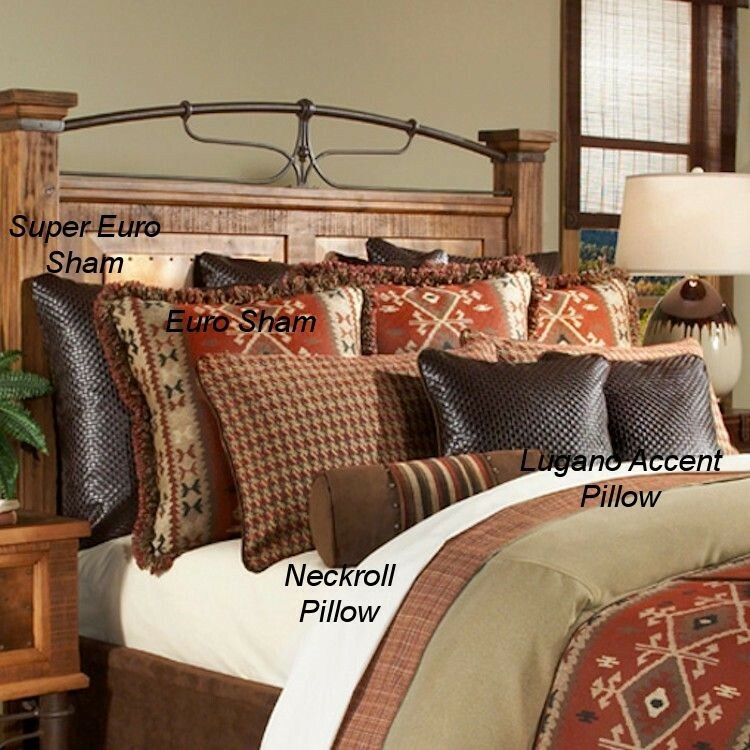 Euro shams in two sizes and coordinating accent pillows are sold separately so that you can customize your ensemble to suit your needs.